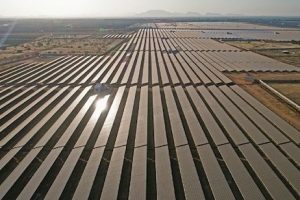 Disconnecting from gas and living in all-electric solar powered homes could save Australian households thousands of dollars in energy costs, a new study has found – as much as $18,000 over 10 years for the millions of new-build homes expected to built around the country by 2030. 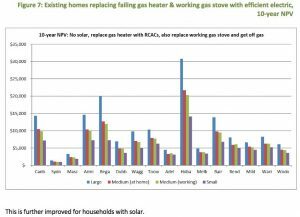 The report, published by the Alternative Technology Association, puts a question mark over the use of gas power in homes in almost every major city of Australia, and categorically rules it out as uneconomic in new-build homes anywhere in the country. The research found that by choosing an all-electric home with a 5kW solar PV system, a new home buyer would be in the order of $9,000 to $18,000 better off over 10 years, than if they established that home as dual fuel – electricity and gas – without solar. The shifting scale of financial benefit reflects the modelling for different locations around Australia. 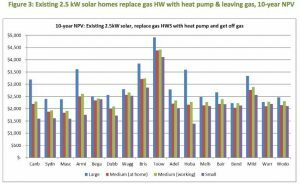 The worst return, for example, was found in Melbourne homes, thanks to the lower value of solar PV and “relatively low gas tariffs,” the report said. 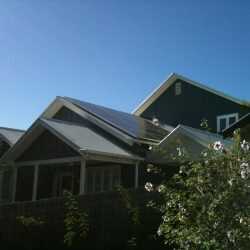 But even in Melbourne, a new home owner would be almost $10,000 in front after 10 years, after establishing a gas-free, solar all-electric home. 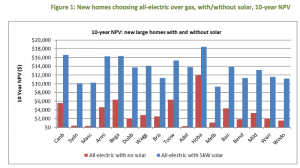 “There is just no reason economically for new homes to be built with both electricity and gas,” said Dean Lombard, a co-author of the Household Fuel Choice in the NEM report and energy analyst at the ATA. “This has been the case for many years in Australia’s north, but it’s now also clearly the case in colder climates like Victoria and Tasmania. 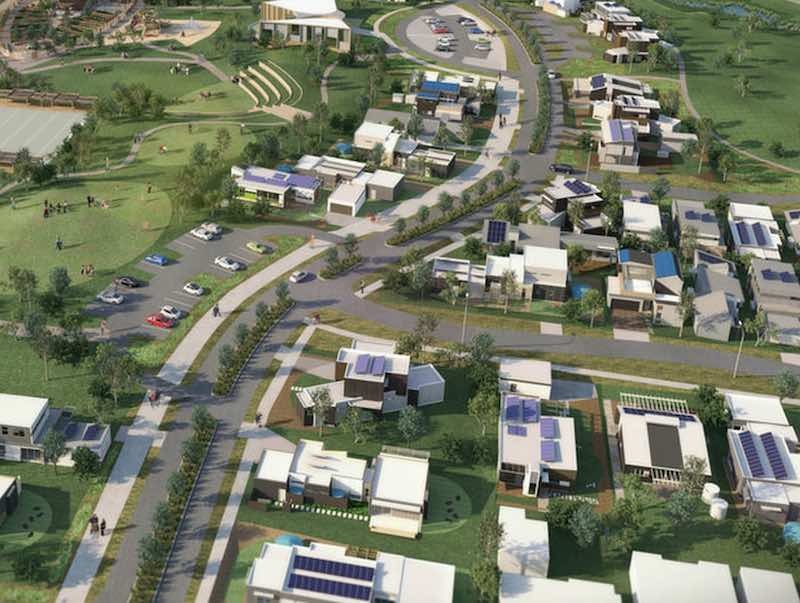 The report, which was commissioned by Energy Consumers Australia, calls on new home buyers as well as the building and energy industries to be educated on the value of all-electric, solar-based homes. Particularly in light of the rate that new homes are being built around the country. The ATA forecasts that new Class 1 dwelling approvals could total almost two million by 2030, based on 2015 statistics. And very few of that number (one in 10) would be unable to install solar PV for technical reasons, the report says. The ATA has also recommended a review of policies and programs that subsidised or supported the expansion of gas networks around Australia. “Rolling out new gas infrastructure is simply not efficient and is not in the long-term interests of residential households. 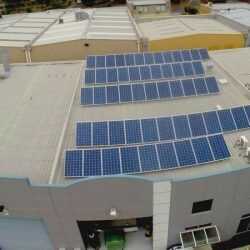 It locks people into higher energy costs in the long run,” Lombard said. But the benefits of weaning households off gas, and of avoiding the costs of building out new gas infrastructure in new suburbs, is starting to catching on in some parts of the country. In the ACT, Territory development laws have been amended to pave the way for a 350-home trial gas-free precinct – a joint venture between the government and local landowners, mostly farmers – as part of Ginninderry Estate, a new suburb being developed by Riverview Group. And in Victoria, an all-electric, solar installed 230-dwelling housing estate has been established at Cape Paterson, on the state’s Bass Coast. The ATA estimates that The Cape property development will save a total of $2 million over 10 years by not using gas. “By eliminating gas from the whole estate and replacing with the highly efficient all-electric home operating systems and solar power, our householders avoid annual gas usage and gas connection costs, as well as the upfront construction costs of connecting to gas and running gas plumbing through homes that occur with gas-connected estates,” said The Cape’s director, Brendan Condon. For existing households with more than one gas appliance, the equations got a little more complicated, particularly depending on where the house was located. 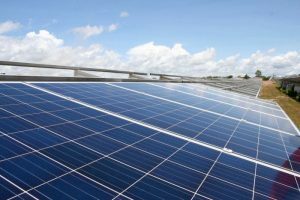 But in terms of adding solar power, the report confirmed that putting a PV system onto a roof with good solar access was “almost always a good economic decision. “Even for a household that chooses to purchase new gas appliances, solar is a good investment,” it said. In the cases where the running cost of gas was lower than for electric appliances, the report said this saving could be outweighed by the value of getting rid of the fixed charge of the gas connection. Call Sunstainable today for a no obligation assessment of your premises. Battery storage: How it could solve our energy problems?